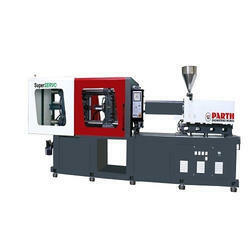 Leading Manufacturer of pvc injection molding machine, rpvc horizontal injection molding machine, bucket horizontal plastic injection molding machine, cap horizontal injection molding machine, cpvc horizontal injection molding machine and toggle type horizontal injection molding machine from Ahmedabad. We are a trustworthy organization in the market, actively engrossed in offering a wide gamut of PVC Injection Molding Machine. We are offering RPVC Horizontal Injection Molding Machine to our clients. We are offering Bucket Horizontal Plastic Injection Molding Machine to our clients. We are offering Cap Horizontal Injection Molding Machine to our clients. We are offering CPVC Horizontal Injection Molding Machine to our clients. We are offering Toggle Type Horizontal Injection Molding Machine to our clients.